Our heroes erased themselves from the Four Corners’ histories and thought they were finally free…until Lily burst their bubble and told them they have to get involved with the cult one last time to stop them from unleashing a great evil buried thousands of years ago. But they fail, and the fifth Bound One is released, fulfilling his vengeful dreams formed over his long imprisonment. Phoenyx and her friends band together for one last fight, and one of them will pay the ultimate price. Unable to tolerate his intrusion on her personal space any longer, she grabbed his wrist and pushed her will into him. “Where is Ayanna?” she demanded with all the authority she could instill. In one swift motion, he twisted his arm out of her grasp and grabbed both her wrists, holding them against the wall on either side of her head. And then something happened. Lust unlike anything she’d ever experienced seeped into her forearms and spread like venom through her veins, burning her to her core with desire. A small voice in the back of her mind was screaming at her to fight, but every other part of her, body and mind, wanted nothing more than to obey him. She did as he asked, pressing her lips against his. When he pushed his hot tongue into her mouth, she opened it to welcome him, allowing him full access to whatever he wanted. Joran, she swooned inwardly. His hands roamed across her body, pressing and grabbing. Her body responded heatedly to his touch, but something in her mind told her this was so very wrong. Shut up, voice, she said internally, swatting away those pesky thoughts that tried to keep her from enjoying this. “Yes, I’m your toy,” she said mindlessly, desperate to please him. “What the hell!” another familiar voice shouted from the doorway. Irritated at the interruption, Phoenyx rolled her lusty eyes in that direction. When she saw Sebastian standing there, fuming with territorial rage, the spell she’d been under lifted. The pleasure she had taken in Joran’s large body pressed against hers now turned into disgust and violation, and she used all the physical strength she could muster to shove him away from her. Joran seemed unphased by her rejection, smiling smugly at Sebastian. “Don’t you dare touch her,” Sebastian threatened in a dangerously low voice. “Or what? You’ll splash some water at me?” Joran taunted. Scared for Sebastian’s safety, Phoenyx pushed off from the wall and darted for him. When she reached him, the two of them fought to put themselves protectively in front of the other as they stared at Joran. “Why should we come?” Sebastian snarled, wrapping Pheonyx in a possessive embrace. “Because you want to see Ayanna,” Joran replied. “What have you done with her?” Phoenyx barked, hating the taste of him that filled her mouth. He laughed sadistically and walked toward the door. “I’ll see you tonight,” he said, slapping a hand on Sebastian’s shoulder fraternally as he passed and went out the door. The two of them watched him as he went around the corner and the sound of his footsteps disappeared from earshot down the stairs. Now they were alone, and they were still hugging each other for dear life. Phoenyx met Sebastian’s gaze, his blue eyes a storm of turmoil and conflict. Now it was her turn to mark him as hers. She kissed him just as hard, no tongue, no passion, just pure possession. Tricia Barr is a Professional Engineer and award-winning author. Her novel WYNDE earned a Gold Medal in the 2014 Independent Publisher Awards for Best Sci-Fi, Fantasy, Horror e-Book. She co-authored DK Publishing’s ULTIMATE STAR WARS (2015), which compiled all canon material moving forward prior to the release of “The Force Awakens.,” followed by the new STAR WARS: THE VISUAL ENCYCLOPEDIA (2017), which includes content from “Rogue One.” An expert on storytelling, Barr pens a regular series on the Hero’s Journey for the print publication Star Wars Insider magazine. She founded the respected website FANgirl Blog, and her writing can be found on a variety of websites, including Lucasfilm’s StarWars.com, and PopSugar, and Random House’s SUVUDU. 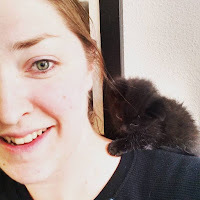 She provided editorial services on Del Rey’s STAR WARS: THE ESSENTIAL READER’S COMPANION (2012). Tricia Barr is an accomplished podcaster, co-hosting the popular Star Wars podcasts Fangirls Going Rogue and Hyperspace Theories. 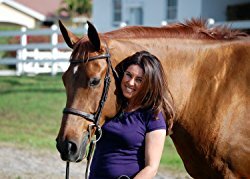 In her spare time, she competes as an amateur equestrian, earning top ten spots three times in national finals. 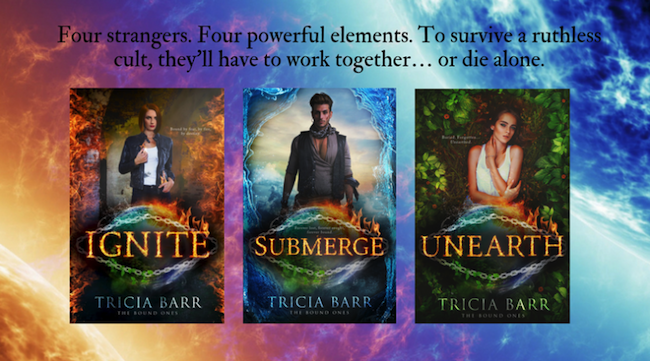 In honor of the December 1st release of Unearth, book 3 in the Bound Ones Series, author Tricia Barr is hosting a big giveaway where everybody wins! 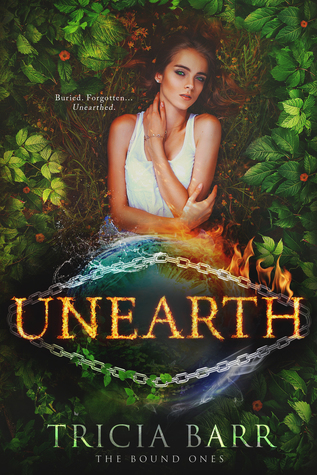 Enter for a chance to win a signed paperback copy of Unearth. You can enter by voting for Ignite, book 1 of the series, for the Reader’s Choice Award. Everyone who votes will get an ebook copy of Ignite. You can increase your chances of winning the grand prize by sharing this giveaway with your friends on social media. Help Ignite become the RCA winner!